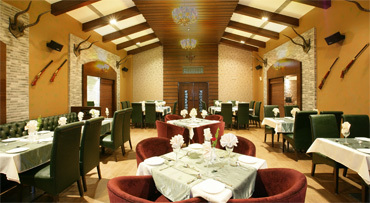 'WINGS' The Design Studio - Pune’s premiere award winning Architecture and Interior Design company. Amit & Meena of Wings the design studio were exceptional in understanding our requirements and giving justice to the functionality while experimenting complete design freedom for our restaurant project. Nilesh Barne of Mezza9 restaurant. 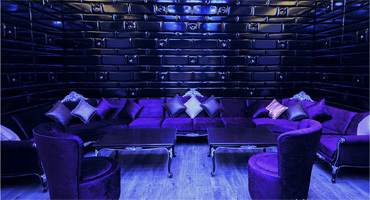 Amit and Meena's experience of hotel planning and designing was very helpful while designing my lounge bar. Also the professional approach and involvement in every aspect of designing and project implementation was impressive. Sudhakar Shetty of Sravaan Hotels Pvt.Ltd. 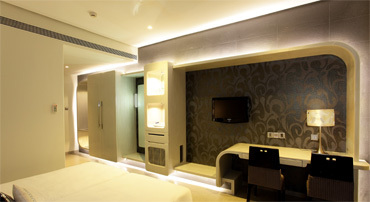 Pune's premiere award winning Architecture and Interior Design company. Wings the Design Studio is Pune's premiere award winning multi disciplinary Architecture and Interior Design company involved in the design aspects of several national and International projects of Hotels, Restaurant, lounge bars, Resorts, Offices, Hospitals, food malls, super markets and residences to name a few. While consistently leaving its mark on the national landscape, the company has now proudly spread its Wings by starting design services internationally. Wings the design Studio, Pune, has always realized its motto of 'Endless Growth' through its values and principles that are deeply rooted in the concepts of Innovation, Accountability, Energy and by adopting a Knowledge Based approach. These values have always been a driving force guiding the relentless pursuit of achievement and growth that we follow, in every step of our growth. Wings the Design Studio, Pune, is comprised of a dynamic team of Architects and Interior Designers that cater to a wide variety of architectural and interior design services and projects. Innovation has always been a key factor for us in the creative process. We also believe in understanding the client's needs and satisfying their requirements - our listening and effective communication skills have always helped us to build and maintain longstanding client relationships. We believe in providing the client with the means to transform their vision into reality. Today, Wings the Design Studio, Pune, stands poised to bring its creative talent and expertise to the globe by participating in the development process of several National and International projects. © 2013 Copyright PuneArchitect.com. All rights reserved.